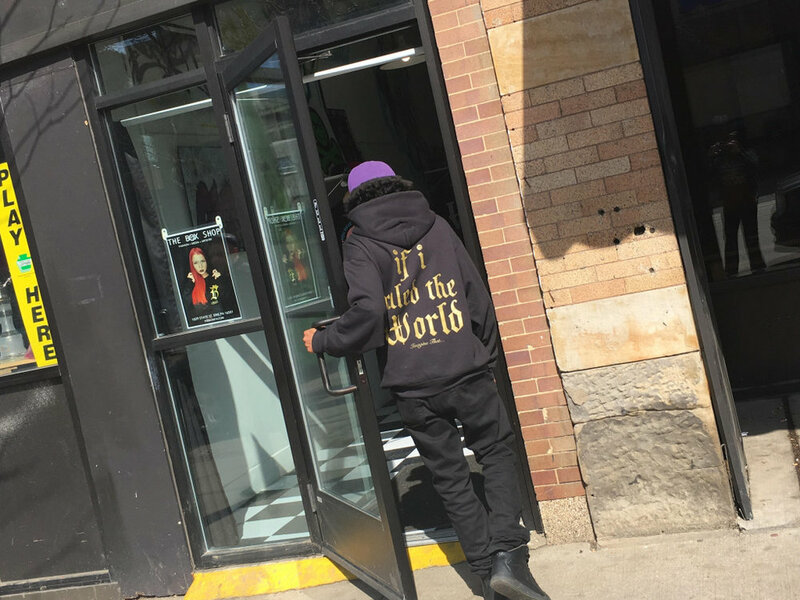 On a sunny Saturday afternoon, while some people are enjoying their weekend at home with family, Doc Proto is working hard in his studio, located at “The Box”, a self-brand clothing store that supports not only local artists in the city of Erie, Pa, but also the culture of Hip-Hop. Doctor Malito Proto is an emcee, producer, DJ, artist, and the C.E.O. of Roswell Enterprises, a company that works with artist development in the northwestern part of Pennsylvania. In the 90’s, Doc drew inspiration for hip hop from The Dungeon Family and Wu-Tang Clan. He wanted to make sure that his music stood out from everyone. Doc describes his music as “eclectic, essential, and honest” and he feels this is what makes him different from other artists. In the fall of 2001, Doc’s best friend and fellow Erie artist Caution passed away due to heart problems. The death of Caution really effected Doc as a person but he wanted to take the pain he was feeling and put it into his music to express the unconditional love that he had for his friend. Doc took some time out to perfect his craft and soon released his first album “LOW GRADE DIGITAL (Squared)” in 2006. Within years to come, Doc started focusing on the business side of the music. That gave Doc motivation to provide a gateway for the talent in his hometown of Erie, PA. Doc started his artist development company Roswell Enterprises and soon started collaborating with Jon Box, whom is the owner of the street couture store “The Box”. They decided to mesh their brands together and soon “RosBox” came to life to open doors for talent in the tri-state area. This is what makes Doc Proto #NOWTHATSHIPHOP Approved!